We hate hidden terms and sneakiness just as much as you do. That is why always do our best to ensure the conditions related to each deal are as clear as possible. That being said, we rely on you, the customer, to choose carefully and ensure that the deal you select suits your needs, requirements, timing and redemption ability. If you decide over time that your Cobone voucher is no longer of interest we suggest you share some group buying love and gift it to a friend or family member. We value your business, and whilst we aren’t responsible for the quality of the service provided by the merchant or the experience itself, we will do everything we can to act as a liaison that can assist to find the most favourable outcome for you. So, if something major has let you down Contact Us and we’ll do all we can to make things right. That being said, we realise that sometimes things don’t go exactly as planned. We do investigate exceptional cases and if a refund is the only option, Cobone reserves the right to offer all monies as store credit. At Cobone.com, we promote third-party businesses on our website. This agency agreement means we collect money from customers on behalf of the business, and then distribute Cobone vouchers for goods and services to be provided by these businesses. The nominated supplier (not Cobone.com) is the seller of the product or service and is solely responsible for honouring any Cobone voucher you purchase. Cobone.com makes no warranty about the standard or quality of any product or service. We base our promotional material on information provided by the business and its affiliates. Please be careful with your Cobone vouchers and the codes displayed on them. Anyone you provide these codes to can redeem your Cobone voucher. Once redeemed, a Cobone voucher cannot be used again. If you provide these codes to a business at the time of reservation and don’t honour that reservation time, the business may at its discretion consider the Cobone voucher redeemed. So please don’t be late. The website will NOT deal or provide any services or products to any of OFAC sanctions countries in accordance with the law of UAE. The multiple shipments may result in multiple postings to the cardholder’s monthly statement. Cobone.com provides daily deals for its members “Site” means the Cobone.com website at Cobone.com and its related partner websites. By accessing or using this Site, you agree to be bound by and accept without limitation or qualification the following terms and conditions (“Terms and Conditions”). 1. USER REPRESENTATIONS: Users represent and warrant that they are at least 18 years of age and that they possess the legal right and ability to enter into this Agreement and to use the Cobone.com and partner websites in accordance with these Terms and Conditions. .
2. RESTRICTIONS ON USE: Users agree to use the Site solely for their own personal and non-commercial use. Further, users agree not to (a) interrupt or attempt to interrupt the operation of the Site in any way, or use the Site in a manner that adversely affects the availability of its resources to other Users; (b) use the Site for any illegal purpose or in any manner that is inconsistent with these Terms and Conditions; or (c) modify, copy, distribute, transmit, display, perform, reproduce, publish, license, create derivative works from or offer for sale any information contained on, or obtained from, the Site. 3. USER’S AGREEMENT: Users agree: (a) to maintain all equipment required for their access to and use of the Site; (b) to maintain the security of their user identification, password and other confidential information relating to their Cobone.com account (“Account”); (c) to be responsible for all consequences resulting from use of their Account, use of their Account by others (including minors) or unauthorised use; (d) to notify Cobone.com immediately if users become aware of any unauthorised use of their Account; and (e) that each username and password must be used by a single user and are not transferable. 4. MODIFICATIONS: Cobone.com reserves the right to modify this Agreement from time to time. Such modifications will be effective immediately upon notification on this Site. Your continued use of the Site, or any of the materials contained on the site, following such notification will be deemed your conclusive acceptance of the modified Terms and Conditions. 7. RESERVATIONS AND CANCELLATIONS: Cobone.com is committed to providing superior quality services for all relevant parties involved. 8. FEES AND CHARGES: It is a condition of use that businesses will not charge users any additional fees or charges when users register for a deal, unless specified, and it is released other than those fees and charges that would normally be charged in the provision of their services. 9. LICENCE: You have no rights or licenses in or to Cobone.com and materials contained on the Site (Cobone.com Content) other than the limited right to use the Site in accordance with these Terms and Conditions. Users shall not copy, display, modify, create derivative works of, publish, or sell the Cobone.com Content or any information, software, or services provided by Cobone.com. The Cobone.com Content may be modified from time to time by Cobone.com in its sole discretion. Except as expressly set forth herein, no license is granted to user for any other purpose, and any other use of the Service or the Cobone.com Content by user shall constitute a material breach of this Agreement. In the event that you choose to download content from the Site, you must do so in accordance with these Terms and Conditions. Such download is licensed to you by Cobone.com only for your own personal, non-commercial use in accordance with the Terms and Conditions and does not transfer any other rights to you. Nothing in this Agreement shall affect any rights of Cobone.com or its licensors in the service or Cobone.com Content, and any associated patents, trademarks, copyrights, designs, trade secrets or other intellectual property rights. No license, right or interest in any trademarks of Cobone.com or any third party is granted under this Agreement. 9. COPYRIGHT: All material on this Site (collectively “Copyright Material”) is protected by copyright unless otherwise noted and may not be used except as permitted in these Terms and Conditions or in the text on the Site, and is protected under the law. 10. TRADE MARKS: The trademarks and logos displayed on the Site (collectively the “TradeMarks”) are trademarks of Cobone.com and/or its affiliates, unless otherwise specified. The businesses promoted on the site provide their own logos and graphics from time to time and they warrant to own the copyright to display these images on our site. Nothing contained on the Site should be construed as granting, by implication, estoppel or otherwise, any license or right to use the TradeMarks displayed on the Site without the express written permission of Cobone.com or such other third party owner. You must retain, on all copies of material downloaded from this Site, all copyright and other proprietary notices contained in the material. The use of Copyright Material and/or TradeMarks by you, or anyone authorised by you, is prohibited unless expressly permitted by these Terms and Conditions, or express permission is provided elsewhere on the Site or express permission is provided by Cobone.com. Any unauthorised use of the images may violate copyright laws, trade mark laws, the laws of privacy, and civil and criminal statutes. 11. HYPERLINKS: This Site may contain links to other websites. Cobone.com is not responsible for and does not control the content of any website linked to or from the Site. Any links to other websites are for your convenience only and Cobone.com makes no warranty or representation regarding and, unless expressly stated by Cobone.com on the Site, does not endorse the owner/sponsor and the content of any linked websites. Cobone.com disclaims all warranties, express and implied, as to the accuracy, validity, legality or otherwise of any materials or information contained on such websites. Cobone.com neither warrants nor represents that a user’s use of any materials on linked websites will not infringe rights of third parties not owned by or affiliated with Cobone.com. 12. NO WARRANTIES: Cobone.com assumes no responsibility, and will not be liable for any damages to or viruses that may infect your computer equipment or other property due to you accessing and/or use of the Site or any linked websites, or your downloading any materials, data, text, images, video or audio from the Site or any linked websites. Cobone.com assumes no responsibility for computer systems, hardware, software or program malfunctions or for other errors, failures, or delays in computer transmissions or network connections or for lost, late, mutilated, illegible, incomplete or misdirected information. Users must provide a valid email address. Cobone.com reserves the right, in its sole discretion, to cancel or suspend this program should any virus, bugs, or other causes beyond Cobone.com’s control which corrupt the administration, security or proper function of this Site. The material on this Site may contain inaccuracies and typographical errors. Cobone.com does not warrant the accuracy or completeness of the material or the reliability of any advice, opinion, statement or other information displayed or distributed through the Site. You acknowledge that any reliance on any such opinion, advice, statement, memorandum or information will be at your own risk. 13. REVIEW OF POSTINGS & UPLOADS: You may send and receive electronic mail (“email”), engage in conferences and chats, download and upload files and otherwise use this Site as permitted by this Agreement, the operating policies of Cobone.com and applicable law. Your participation in on-line communications and communities occurs in real time and is not edited, censored, or otherwise controlled by Cobone.com. Cobone.com does not and cannot review all communications and materials posted or uploaded to the Site and is not responsible or liable for the content of these communications and materials, nor for an error, defamation, libel, obscenity, profanity or inaccuracy contained in any such communication or materials. Cobone.com reserves the right to block or remove communications or materials that it determines, in its sole discretion, to be (a) abusive, libellous, defamatory or obscene, (b) fraudulent, deceptive, or misleading, (c) in violation of a copyright or trademark, or other intellectual property right of another (d) is to encourage conduct that would be considered a criminal offence or give rise to civil liability or otherwise violate any law (e) offensive or otherwise unacceptable; or (f) determines to be harmful, offensive or otherwise in violation of this Agreement or the operating policies of Cobone.com for its users. Cobone.com will fully cooperate with any law enforcement authorities or court order requesting or directing Cobone.com to disclose the identity of anyone posting such communications or materials. Statements made in websites, newsgroups, message boards, email, forums, conferences and chats reflect only the views of their authors, and do not necessarily reflect those of Cobone.com. 14. REGISTRATION: In order for users to be able to access the services offered by Cobone.com at the Site, users must register by completing their registration details in the manner described at the Site. Cobone.com reserves the right to terminate users’ memberships at any time if users breach these Terms and Conditions. 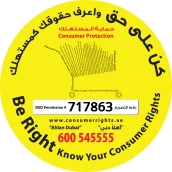 Users agree to ensure that their registration details are true and accurate at all times. Specifically, users must notify Cobone.com of any change to their registration details. Upon registration, users will need to provide a username and password. 15. TERM AND TERMINATION: Either users or Cobone.com may terminate a user’s right to use the Site at any time, with or without cause, upon notice. The clauses will survive any termination of this Agreement. 16. LIABILITY: Cobone.com and its associated agencies are not liable for any loss, damage, personal injury or death whatsoever (including, but not limited to, direct, indirect or consequential losses) suffered or sustained in connection with: (i) any inaccurate or incorrect information provided by users; (ii) any use of the Site or Cobone.com Content; or (iii) any use of the services offered or products provided by Cobone.com or its associated agencies; or (iv) any act or omission (whether negligent or not) of Cobone.com and its associated agencies or any person associated with any of them; or (v) any failure or delay (including, but not limited to, the use of inability to use any component of the service or the Cobone.com site for reservations); or (vi) the performance or non-performance of any restaurant or business in connection with the Cobone.com service, except for any liability which cannot be excluded by law. 17. LIABILITY RELEASE AND INDEMNIFICATION: You hereby release and discharge and agree to indemnify: a) Cobone.com and any related body corporate, b) Cobone.com ’s organisers, directors, officers, employees and agents; and c) the other participants and/or users (“Released Parties”), for any personal injury, illness or death, claims, liabilities or expenses of any kind, including reasonable attorney’s fees (and whether accruing to you, your heirs or personal representatives) that are caused or alleged to be caused in whole or in part by reason of an act or omission of any Released Party that arises out of or in connection with your use of the Site, or resulting from any violation of this agreement or any activity related to your account (including infringement of third parties’ worldwide intellectual property rights or negligent or wrongful conduct) by you or any other person accessing Cobone.com using your service account. In no event will Cobone.com’s total liability to you for all damages, losses, causes of action (whether in contract or tort, including but not limited to negligence) exceed the amount paid by you, if any, for accessing this Site. 18. THIRD-PARTY RIGHTS: The foregoing provisions regarding Indemnification and Waiver, Release and Limitation of Liability are for the benefit of Cobone.com and its officers, directors, employees, agents, licensors, suppliers and information providers. Each of these individuals or entities has the right to assert and enforce those provisions directly against you on its own behalf. Force majeure: Cobone.com and its subsidiaries are not liable for any breach of obligations where there is hindrance or prevention from carrying out obligations by any cause outside their reasonable control, including but not limited to lightning, fire, flood, extreme or severe weather, strike, lock-out, labour dispute, act of God, war, riot, civil commotion, malicious damage, failure of any telecommunications or computer system, compliance with any law, accident (or by any damage caused by any of such events). 19. NIDO® CAMPAIGN March/April 2015: Email addresses of all those who donate to this campaign will be shared with NESTLÉ® NIDO®. They will contact you by email to say thank you for your donation and also to let you know the results of this great initiative. If you do not wish to remain part of the NESTLÉ® NIDO® mailing list after this time please use the preference options offered to you by NESTLÉ® NIDO®. 21. TAX: With effect from 1st January 2018 all prices include VAT where applicable.